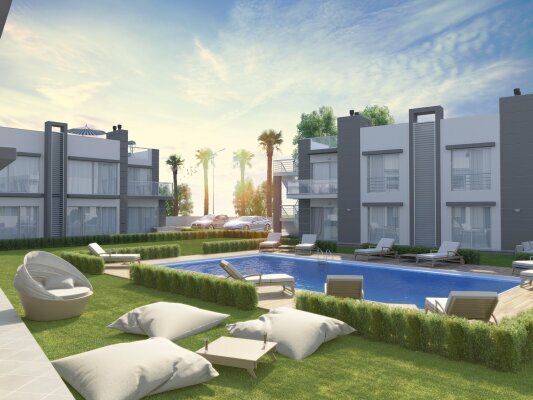 Three-bedroom apartments with a modern interior are located in an exclusive complex which is under construction, 5 minutes from the center of Kyrenia. Apartment with an area of 110 m2 with magnificent views of the sea and mountains. The territory of the complex is well-kept and everything is provided for your comfort. Also, surrounded by the complex has all the necessary infrastructure for life: shops, restaurants, pharmacies, supermarkets, a cinema. Installment plan until the end of construction. After the end of construction it is possible to get a loan from the developer!